BIC Acoustech Speakers. We proudly introduce the BIC/Acoustech Platinum Series PL-200 subwoofer. If you are looking for a top-tier subwoofer at an affordable price, we strongly suggest you audition the Acoustech PL-200. When a high-powered subwoofer or quality speakers are a standard requirement to complement your home theater, the BIC Acoustech Platinum Series PL-200 offers the ultimate Klipsch cinema and music experience. Enhance your entertainment platform with the rich sound of a BIC PL-200. The sharp frequency response easily handles a range from 22Hz to 200Hz and is able to accommodate a mid-range speaker. 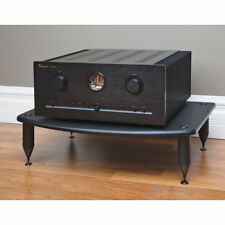 A built-in BASH amplifier provides 250 watts of RMS power to this highly-efficient subwoofer. Enjoy a state-of-the-art system with the capacity to deliver peak outputs of up to 1,000 watts of clear bass sound. The PL-200 can connect easily to your choice of receivers and through multiple speaker systems. Get top-notch sound quality right from the comfort of your home. Plug in a pair of compatible headphones, turn up the volume on your speakers, kick back and rock out to your favorite mix of music genres. Be amazed at the booming clarity that flows through this powerful subwoofer. Compatible with the latest in software technology, coordinate measurements to determine speaker placement and balance acoustics with the BIC Acoustech PL-200 easily. Create a cinematic atmosphere for movie night and prepare to feel Klipsch-like sounds in mesmerizing detail. 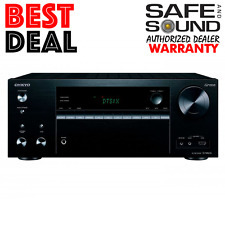 Drop the latest action, thriller or comedy flick into a Blu-ray player and be blown away by the PL-200’s intense audio. Appreciate how the right subwoofers enrich the entertainment experience and complete your sound system. Electronics are not created equal, and The BIC Acoustech PL-200 stands on its own in a good way. Shake things up. Rattle a few windows—without annoying your neighbors, of course. Create a premium home theater system that rivals brands, such as Polk Audio speakers. If you’re an audiophile at heart, marvel at how these subs produce a vivid Klipsch inspired surround sound designed to be the center of amusement. Big in its ability to provide outstanding sound, it’s a solidly-built product that will fit into any space with minimal effort. It is both mobile and versatile. Housed in a sleek gloss cabinet finish, the PL-200 exhibits a fine mix of aesthetic appeal and complements a variety of interiors without minimizing the size of a room. Its dynamic sound output is strong yet controllable in both small and large areas. An amp of this magnitude adequately accommodates accessories that match its quality, so fine-tuning a set of Polk Audio surround speakers is a breeze. When the need for Blu-ray or Ethernet networking arises, the PL-200 is the right choice for optimal performance. The hunt for reputable subwoofer deals is a challenge. The budget-friendly PL-200 delivers in quality, style and affordability. This powerhouse subwoofer also comes packed with a generous 5-year warranty, a bargain that’s hard to beat. It boasts an impressive 8-year driver as well. The BIC Acoustech PL-200 is a remarkable and competitive force for your music needs. Fill your home with a remarkable subwoofer that strikes the ideal balance between fun and entertainment. The well-defined characteristics of the PL-200 are worthy. It’s sure to bring long-term entertainment to a variety of home theater enthusiasts. item 2 BIC Acoustech PL200II Sub woofer NEW MODEL PL-200ii - NEW SERIES! 1000 WATTS! -BIC Acoustech PL200II Sub woofer NEW MODEL PL-200ii - NEW SERIES! 1000 WATTS! item 3 BIC Acoustech PL200II Sub woofer NEW MODEL PL-200ii - NEW SERIES! 1000 WATTS! -BIC Acoustech PL200II Sub woofer NEW MODEL PL-200ii - NEW SERIES! 1000 WATTS!